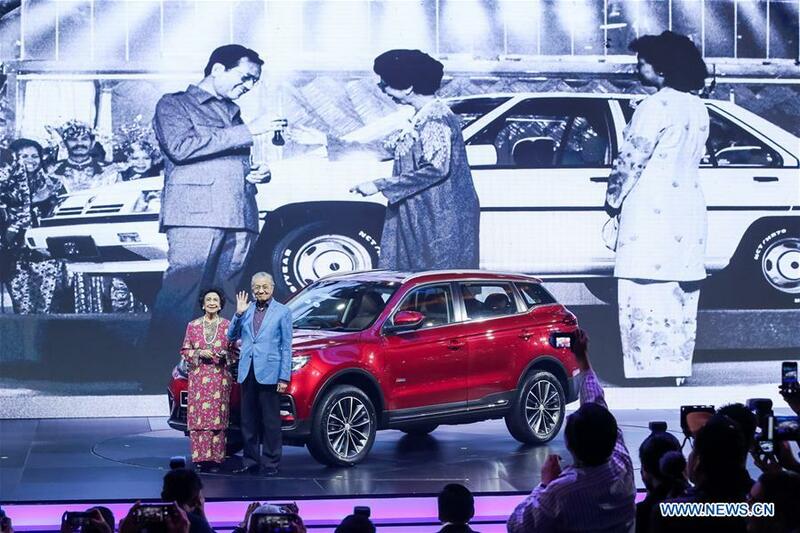 Malaysian national car manufacturer Proton and China's Geely have unveiled their first joint commercial product on Wednesday with the launch of the X70 sports utility vehicle (SUV). The X70 is the most anticipated SUV in Malaysian automotive history, with over 10,000 bookings received before its official launch. The vehicle is the first joint product since Geely acquired 49.9 percent of Proton from Malaysia's leading conglomerate DRB-HICOM that owned 100 percent of Proton last year. Malaysian Prime Minister Mahathir Mohamad, who was the guest of honor at the launch, said the vehicle represented a technological leap for the national car maker. "The technology is fantastic. All the things that I never thought could be done before is now commonplace. When we introduced the first Proton and compare that with what we have now it seems like it was a bullock cart by comparison to the latest cars," he said. The prime minister was impressed by the car, including its voice command features. "I had my first taste of this car when it was first introduced to me. This car talks back to you. You can ask in simple English and I hope later on in simple Malay, what you want and the car will do exactly what you want," he said. Mahathir added that the launch of the X70 would help rejuvenate Proton and help the company recover from the hard times it had faced recently. "We have seen Proton make a recovery and this recovery will be enhanced by the latest model of Proton, the X70. This is the first car of its design and specification from Proton and I am quite sure it is going to be well received by the public in Malaysia." Based on Geely's popular SUV model Boyue, designers from Proton have infused some unique Malaysian elements into the car. Mahathir said he hopes Proton will come out with a 100 percent Malaysian car in the future with the support from Geely. According to Proton, both companies had collaborated on multiple levels, including the cross deployment of staff in China and Malaysia, and testing in the Malaysian climate, and the collaboration between local and international vendors. 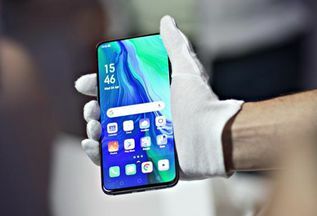 The company said significant investments were made to its network for the arrival of the Proton X70, including a network expansion plan to start Proton outlets and offering incentives for existing dealers to upgrade their facilities.